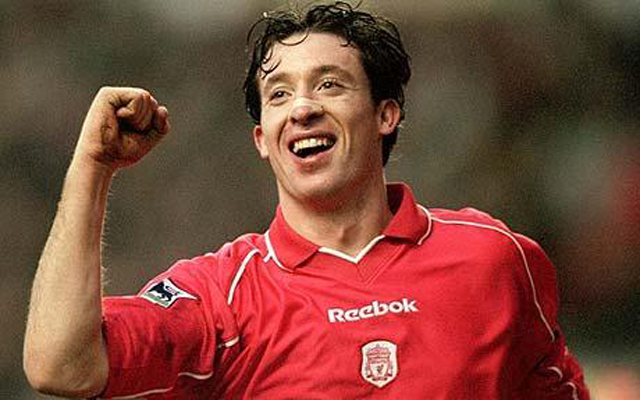 Club legend Robbie Fowler has been playing in a promotional event at Wembley tonight. The match – called the “Wembley Cup 2016” – was a fundraiser for the Bobby Moore Fund (via Echo). Fowler, who is now 41, lined up against former teammate Jamie Carragher – and his spectacular free-kick made sure there would only be one of them going home with the bragging rights. Video via: OfficialDTGamer (on Twitter). Fowler, of course, scored 252 goals throughout his career, with 183 of them coming in the red of Liverpool. He left the club in 2002 when Gerrard Houllier sold him to Leeds Utd, but he returned under the stewardship of Rafa Benitez in the middle of the 2005/06 season. Since leaving Liverpool for a second time, he went on to play for Cardiff, Blackburn, two clubs in Australia, and one in China. He now works in a coaching and ambassadorial role for the club and was recently on tour with the lads in the United States.